We'll be putting away an insane amount of chicken wings, 1.35 billion to be more exact, during Super Bowl LII weekend. We know the Super Bowl is all about football, but it’s really also an excuse to eat a whole lot of food. 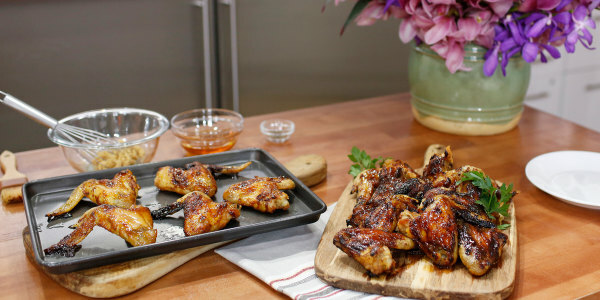 And it turns out there's one food in particular that Americans just can't get enough of while watching the big game: chicken wings. According to the National Chicken Council’s annual Chicken Wing Report (yes, that's a thing), we’ll be eating more chicken wings than ever before this weekend: 1.35 billion wings, to be exact. If it’s hard to conceptualize just how many 1.35 billion chicken wings actually is, think about it this way: laid end to end, those wings would be able to wrap around the entire Earth three times. It's also enough chicken to put 625 wings on every seat in all 32 NFL stadiums in the country. Or, for those looking for a super literal comparison, that’s 394 million feet of chicken wings. So, basically, it's a lot of chicken! The report also revealed that more than half (59 percent) of American diners who gobble up chicken wings like to eat their wings with ranch dressing, while about one-third of eaters prefer to dip their wings in blue cheese dressing. When it comes to wing consumption, Super Bowl weekend comes in first place by a mile, but according to a representative for the National Chicken Council, the second biggest wing-eating season occurs during March Madness basketball games. Can't get enough wings? 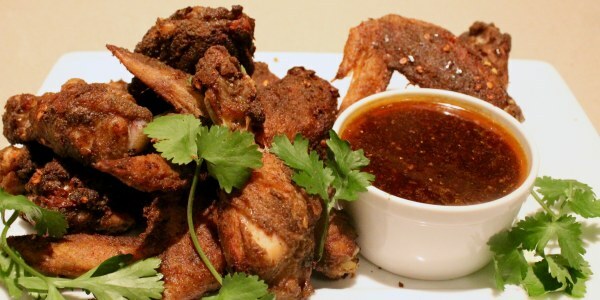 Here are some of our favorite chicken wing recipes.